A Kane County jury returned the second highest personal injury verdict in a car accident case in Kane County history when it found for the plaintiffs in the amount of $4,543,930.00. The verdict followed a two-week trial by Chicago personal injury lawyer, Philip H. Corboy, Jr. A 66 year-old man and his 64 year-old wife, were back seat passengers in a vehicle operated by their friend. As they were on their way home after having dinner at a local restaurant, the friend approached an intersection in Hampshire, Illinois. After stopping at the stop sign, he pulled out onto the eastbound lane of Route 72 and his car was struck by a car driven by a young man, who was en route with a delivery of Rosati’s pizza. The 66 year-old sustained serious neck injuries resulting in paralysis on his right side and his wife suffered chest contusions and fractures. Mr. Corboy and the attorneys at the Corboy & Demetrio law firm have successfully prosecuted many car accident cases in Chicago, DuPage County, Kane County and other locations throughout Illinois. 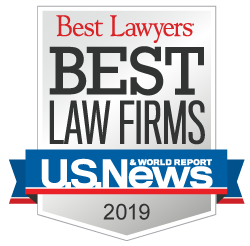 Along with this record-setting verdict, the Chicago-based law firm has secured many top verdicts and settlements in car, truck, motorcycle, bus, cab and many other transportation cases. To view a sample of our successes, visit Our Record of Success.